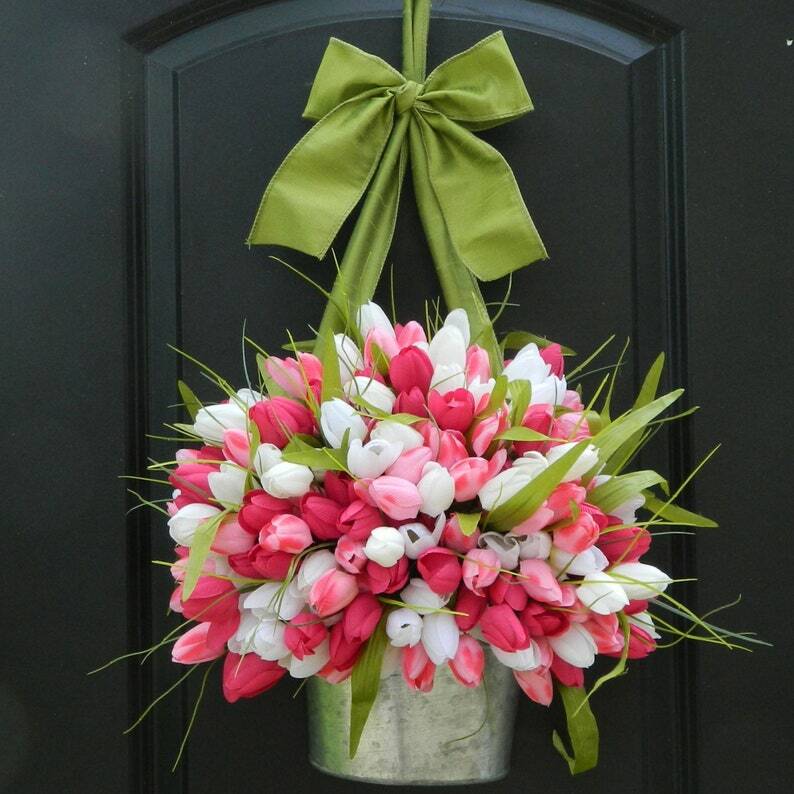 This galvanized wall basket is bursting with artificial tulips in your choice of color, all topped with a bow in the color of your choice (over 65 ribbon colors to choose from). 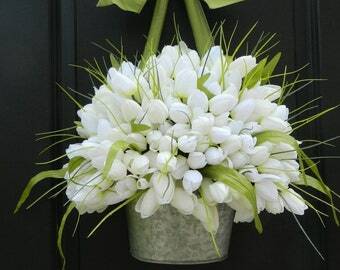 We will be making your arrangement especially for you with the exact same materials. Your arrangement may vary slightly from the photograph. But, we're sure you will be pleased with your own unique door arrangement. 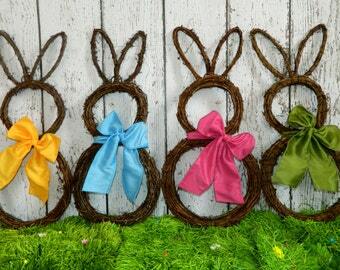 - Choose your bow - over 65 color options (see last photo in listing). - Must be used outdoors or indoors only in a protected location. 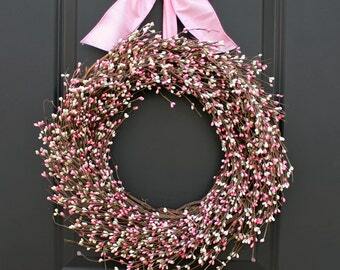 This wreath cannot be exposed to moisture. - It has a flat back which will rest easily on a wall or door. 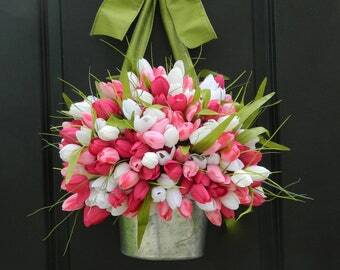 I absolutely love my tulip bucket!!! 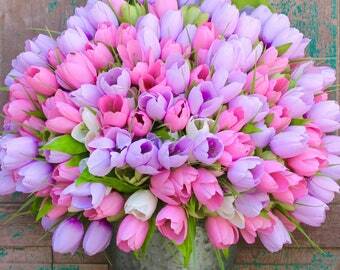 It is beautiful and just what I wanted for Spring!!! 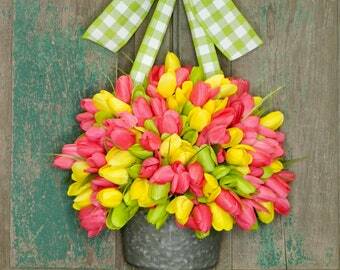 This artist and seller was so great to work with and my tulip arrangement arrived so quickly!!! I will definitely shop with her again!! !